M.J. Ghazali, W.M. Rainforth, H. Jones. (2005). Dry sliding wear behaviour of some wrought, rapidly solidified powder metallurgy aluminium alloys. - WEAR. .
Mariyam Jameelah Ghazali, Andanastuti Muchtar, Jaharah A. Ghani. (2006). 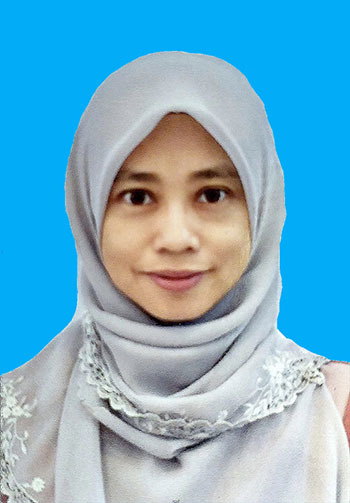 Perbandingan prestasi akademik pelajar tahun dua dan tiga dalam mengikuti kursus pengukuran dan instrumentasi pada tahun yang sama.. - Seminar Pengajaran dan pembelaran Berkesan 2006, ESSET, Bangi. .
Andanastuti Muchtar, Mariyam Jameelah Ghazali, Ahmad Kamal Ariffin Mohd. Ihsan. (2006). Pandangan Pelajar: Isu bahasa pengantar, waktu kuliah dan pengajaran pensyarah. - Seminar Pengajaran dan Pembelajaran Berkesan 2006, ESSET, Bangi. .
Mariam Jameelah Ghazali. (2006). Wear characteristics of several commercial wrought alloys against tool steel. - Jurnal Kejuruteraan. Jilid 18, 2006. M.J. Ghazali, J.A. Ghani, M.Z. Omar. (2007). Plastic deformation characteristics of worn precipitation-hardened Aluminium Alloys. - International Journal of Mechanical & materials Engineering. 2(2):125-129. Anasyida A.S., Daud A.R., Ghazali M.J.. (2010). Dry sliding wear behaviour of Al-12Si-4Mg alloy with cerium addition. - Materials and Design. 31(1):365-374. Mohamad, N; Muchtar, A; Ghazali, MJ; Mohd, DHJ; Azhari, CH. (2010). Epoxidized Natural Rubber-Alumina Nanoparticle Composites: Optimization of Mixer Parameters via Response Surface Methodology. - Journal Of Applied Polymer Science. 115(1):183-189. J.A. Ghani, M. Rizal, M.Z. Nuawi, M.J. Ghazali, C.H.C. Haron. (2011). Monitoring online cutting tool wear using low-cost technique and user-friendly GUI. - Wear. 271(9-10):2619? 2624. N.H.N. Yusoff, M.J. Ghazali, M.C. Isa, A.R. Daud, A. Muchtar, S.M. Forghani. (2012). Optimization of plasma spray parameters on the mechanical properties of agglomerated Al2O3-13%TiO2 coated mild steel. - Materials & Design. 39:504-508. A.E. Ismail, A.K. Ariffin, S. Abdullah, M.J. Ghazali. (2012). Stress Intensity Factors for Surface Cracks in Round Bar under Single and Combined Loadings. - Meccanica. 47:1141-1156. Noraiham Mohamad, Andanastuti Muchtar, Mariyam Jameelah Ghazali, Dahlan Hj. Mohd and Che Husna Azhari. (2010). Correlation of filler loading and silane coupling agent on the physical characteristics of epoxidized natural rubber-alumina nanoparticles composites. - Journal of Elastomers and Plastics. .
A. E. Ismail, A. K. Ariffin, S. Abdullah and M. J. Ghazali. (2011). Off-set crack propagation analysis under mixed mode loadings. - International Journal of Automotive Technology. 12(2):225-232. A. E. Ismail, A. K. Ariffin, S. Abdullah & M. J. Chazali. (2012). Stress intensity factors under combined tension and torsion loadings. - Indian Journal of Engineering & Materials Sciences. 19:5-16. Shahrum Abdullah, Kamarul Ariffin Zakaria, Mariyam Jameelah Ghazali. (2012). Observation of the fatigue crack propagation rate of an aluminum alloy specimen under fatigue spectrum loadings. - Materials Testing. 54(10):663-673. Anasyida Abu Seman, Abdul Razak Daud, Mariyam Jameelah Ghazali. (2013). Wear behaviour of eutectic and hypoeutectic Al-Si-Mg-Ce alloys. - Industrial Lubrication and Tribology. 65(2):135-140. I. Agung, J. Syarif, M.J. Ghazali & Z. Sajuri. (2010). Effect of Cu Particles Precipitation on Wear Behaviour of Fe-3wt% Cu Under Dry Sliding Condition. - Proc. of 8th International Conference on Fracture & Strength of Solids 2010, Kuala Lumpur. .
N. H. Yusoff, M. J. Ghazali, M. C. Isa, A. R. Daud, A. Muchtar, and S. Forghani. (2010). Characterisations Of Al2O3-13% Wt TiO2 Deposition On Mild Steel Via Plasma Spray Method. - American Institute of Physics. .
K.A. Zakaria, S. Abdullah & M. J. Ghazali. (2010). The Study of Fatigue Crack Propagation in Metal Using Finite Element Analysis.  - Proceedings of 8th International Conference on Fracture & Solids 2010, Kuala Lumpur (Key Engineering Materials). .
Halina Misran, A. M. Aminuddin, F. A. M. Zini, M. J. Ghazali, and S. Ramesh. (2010). Facile Synthesis and Characterizations of MOF-5 Coordination Polymer with Various Metal Linker Ratios for Ammonia Gas Storage. - American Institute of Physics -International Conference on Advanced in Materials on Processing and Technologies (AMPT2010). .
Mariyam Jameelah Ghazali, Mahamad Noor Wahab, Abdul Razak Daud and Jaharah Ab. Ghani. (2010). Effect of Aged AIN Reinforced Al-Si Alloys on Dry Sliding Wear Behaviour. - Advanced Materials Research. .
Mariyam Jameelah Ghazali. (2009). Advances In Materials Processing Vol 2. - . 35-70. Che Husna Azhari, Andanastuti Muchtar, Mohd Zaidi Omar, Mariyam Jameelah Ghazali. (2009). Advances in Materials Processing Volume 2. - . 340. Mj Ghazali, Mz Omar & A Jalar. (2009). Sains Dan Teknologi Alam Melayu. - . 384. M. J. Ghazali. (2011). Effects of Dry Sliding Wear of Wrought Al-Alloys on Mechanical Mixed Layers (MML). - . 13/12. Che Husna Azhari, Mariyam Jameelah Ghazali, Andanastuti Muchtar, Mohd Zaidi Omar. (2014). Advances in materials processing. - . 307. Mariyam Jameelah Ghazali, Mohd Zaidi Omar, Che Husna Azhari, Kamarul Afizi Kosman dan Shahril Mohamad. (2012). Sains dan teknologi di alam Melayu. - . 153-161. A.J Helmisyah, S. Abdullah & M.J Ghazali. (2014). Advances in Materials Processing Vol. 3. - . Chapter 10 : 212-249. Mariyam Jameelah Ghazali, Baba Md Deros, Badariah Bais, Dzuraidah Abd Wahab, Fatihah Suja`, Huda Abdullah, Jamaliah Md Jahim. (2008). Proceedings of Engineering Postgraduate Conference 2008. - . 74. M.J. Ghazali, A. Muchtar, T.I. Mohamad, W.A.W. Ghopa, W.F.H.W. Zamri, M.F.M. Tahir, M.A.M. Sabri, H. Hishamuddin, Z. Wahid, N.K. Khamis. (2009). Annual Report 08 Department of Mechanical & Materials Engineering. - . 75. Mariyam Jameelah Ghazali, Che Husna Azhari, Wan Mokhtar Wan Yusoff, Kamarul Ariffin Kosman & Rosdan Abdul Manan. (2015). Ensiklopedia kejuruteraan alam Melayu. - . 322. Andanastuti Muchtar, Amiruddin Ismail, Hafizah Husain, Jamaliah Md Jahim, Mariyam Jameelah Ghazali dan Muhammad Farihin Irfan Mohd Nor. (2007). Prosiding Seminar Penyelidikan siswazah 2007. - Seminar Penyelidikan siswazah 2007. .
Jaharah A.G., Che Hassan, Ghazali M.J.,Md.Deros B., M.Z. Nuawi, M.Z.. (2008). Performance of uncoated carbide tool when machining cast iron in dry condition. - 5 th International Conference on Advanced Mateerial and Processing, Harbin, China, 2-5 Sep 2008. .
A. Alfan, M.Z. Omar, J. Syarif and M.J. Ghazali. (2009). Vanadis 4 steel behaviour in semi solid zone prior to thixoforming process. - 4th International Conference on Recent Advances in Materials, Minerals & Environment 2009 and 2nd Asian Symposium on Materials and Processing 2009. .
N.Mohamad, A. Muchtar, M. J. Ghazali, Dahlan H.M., C.H. Azhari. (2009). The effects of filler loading and 3-aminopropyltriethoxysilane in epoxidised natural rubber-alumina nanoparticles composites (ENRAN). - 4th International Conference on Recent Advances in Materials, Minerals Environment and 2nd Asian Symposium on Material and Processing, Penang. Malaysia. .
N. I. I. Mansor, M. J. Ghazali and M. Z. Nuawi. (2010). An investigation of sliding wear bearing using airborne technique. - 3rd Regional Conference on Noise, Vibration and Comfort (NVC ) 2010. .